Paddington has become comfortable living with the Brown family, and he still thinks fondly of his Aunt Lucy, who sent him to London from Peru. He hopes to get a special present for his Aunt Lucy’s 100th birthday. He tries to save up money to buy the expensive gift, but it is stolen from the store. 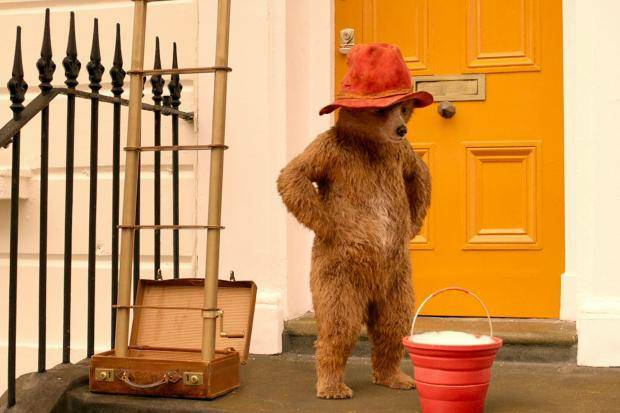 Paddington is seen at the scene of the crime, and is wrongfully believed to be the thief. He is imprisoned, and the Browns must work to clear his name, while he must maintain his hope that they won’t forget him. 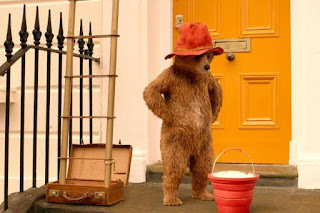 Paddington was taken into the Brown home during the first Paddington film; he was initially brought in for a short time, to save him from being dangerously on his own. By the end of the first film, Paddington had become a permanent member of the Brown family. The background of the film is particularly relevant to adoption. 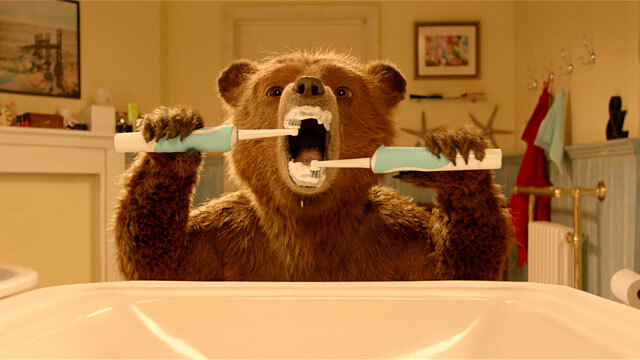 The second film opens with more insight into Paddington’s early childhood. As a very young cub, he was rescued from danger and then raised by the two bears who he came to call his uncle and aunt. Children who have been adopted after spending time in foster care may easily relate to Paddington’s history. That might make it all the more troubling for this children when Paddington is wrongfully accused of a crime and, because of this, is taken by the police away from his crying family. 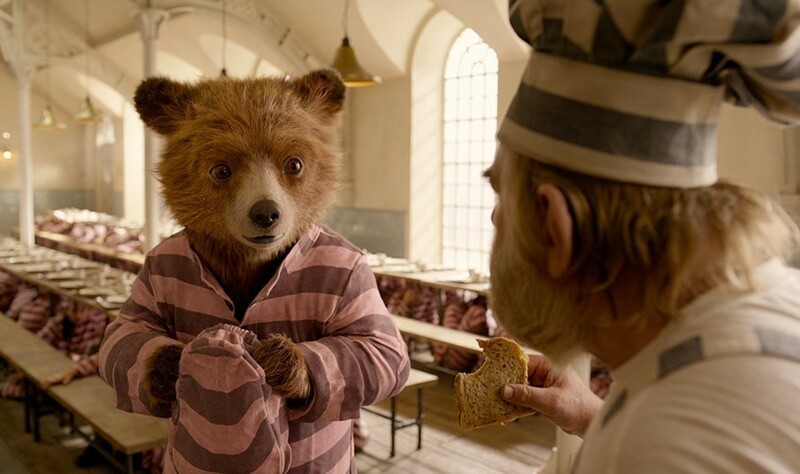 Paddington is incarcerated, and although he does quickly make friends with the other inmates, they tell him that his family will forget him – and that Paddington will be able to tell when they start missing visits. Shortly after, his family does miss a visit because they are working to clear his name; Paddington doesn’t know this though, and believes that his family has genuinely forgotten him. Although this relationship is ultimately repaired, I see two ways in which this could be triggering to young viewers. First, kids may fear losing their current, permanent family, and this film could be frightening on those lines. Secondly, many kids who have been through foster care have painful experiences of their birth family members not coming to visits, and a fear of being forgotten is not uncommon. Kids with one or both of these experiences could find this central aspect of the film particularly uncomfortable. 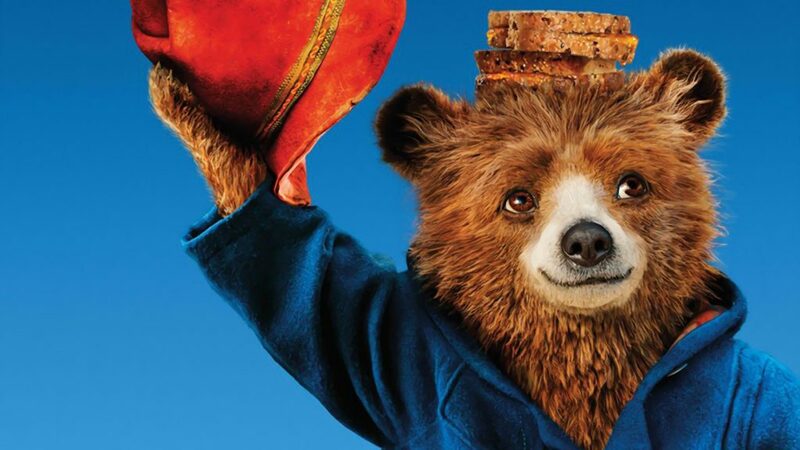 Paddington is obviously loved by his bear family and his human family, and is embraced by the majority of his neighbors. It could be possible for parents to point out to their children just how well-loved Paddington is by so many people. 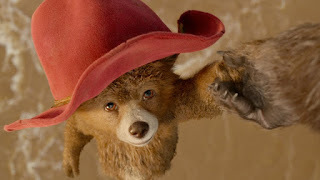 Paddington’s connection to his Aunt Lucy is still important to him, even though he is now a part of the Brown family. They understand how important that connection is to him, and although he fears that she’ll feel forgotten because he wasn’t able to get her a present (Big spoiler….) they arrange for Aunt Lucy to travel from Peru to visit Paddington in London for her birthday. Paddington’s family believes in him, even when others do not. A neighbor frames Paddington for the crime, and does not care that Paddington’s life may be ruined. Paddington is sentenced to 10 years in jail by a biased judge, on the testimony of the actual criminal. One of Paddington’s fellow inmates has a very gruff exterior, but Paddington breaks through. The character confesses that his father “always said I’d amount to nothing, and he was right.” It’s a sad statement, but it may provide some insight into the power of words – and an opportunity to explore any untrue, negative statements that a kid may have unfortunately taken to heart. Paddington participates in a prison break. He is initially abandoned by his friends from prison. Unfortunately, the Browns do miss a visit, and we see Paddington sitting alone in the visitation area as the visit time ends. In his imagination, he sees himself fading out of the Browns’ family photo. It’s very sad. One character follows in the footsteps of a greedy ancestor who was willing to kill to get rich. There are certainly some huge potential triggers in this film, which might make it a risky choice for some young viewers touched by adoption or foster care. Parents should screen it first if there are some concerns after reading this review. 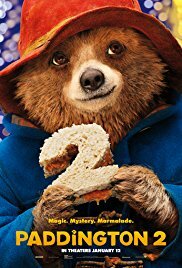 What I do like about the film, though, is that it captures the importance of Aunt Lucy in Paddington’s life, even though he isn’t being raised by her any more, and it also shows how well-loved Paddington is by all branches of his family, and by the town. This is probably a good choice for kids ages 10 and up; parents should screen it before sharing it with foster or adoptive kids much younger than that. Why didn’t Paddington’s family come to his visit? How did Paddington feel? Why did he think they didn’t come? Was he correct? Did Knuckles believe what his dad had told him? Was his dad right? How many people can you think of who loved Paddington? Check out our review of the first Paddington movie!